Diane M. Kulikowski, 68, passed away peacefully at her home in Newark, on Wednesday, January 30, 2019 with her loving mother by her side. She was born in Newark, NJ and a lifelong resident of the Ironbound Section. 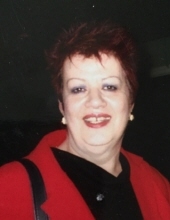 Diane was a Medical Technician for Dr. Benedek of Glen Ridge, NJ for many years. Beloved daughter of Clara (nee Collucci) and the late Albert Kulikowski; loving sister of Julia Pohlman, Alberta Kulikowski and John Kulikowski and his wife Lynn; dear godmother of Amanda; also survived by several dear nieces and nephews; life partner of the late Ernesto Gonzalez. 10 am at St. Casimir’s Church, Newark. In lieu of flowers, donations to St. Casimir's Church, 91 Pulaski St., Newark, NJ, 07105, would be greatly appreciated. Arrangements conducted by the Rucki-Bernauer (Buyus) Funeral Home, 426 Lafayette Street at Wilson Avenue, Newark, NJ. To send flowers or a remembrance gift to the family of Diane M Kulikowski, please visit our Tribute Store. "Email Address" would like to share the life celebration of Diane M Kulikowski. Click on the "link" to go to share a favorite memory or leave a condolence message for the family.